Are you looking for a delicious peaches recipe with a difference? If you are, you’ve found it! 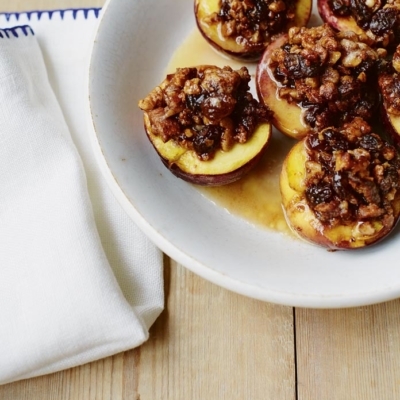 Here’s my baked peaches stuffed with amaretti biscuits, walnuts & raisins for you to enjoy. 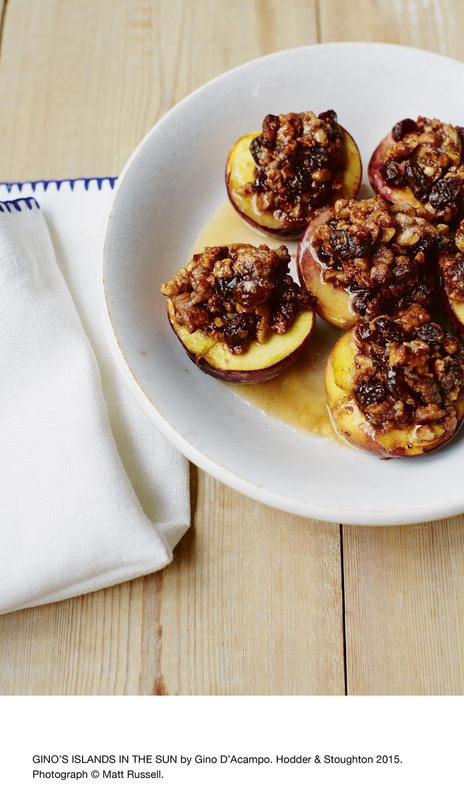 Feast your eyes on the finest baked peaches stuffed with amaretti biscuits, walnuts & raisins! It’s straightforward and fun to make this great dish. Simply follow the instructions below and get the perfect result. Preheat the oven to 180°C/gas mark 4. Take a peach half and enlarge the stone cavity slightly by removing a little of the flesh with a teaspoon. Chop the removed flesh and set aside. Repeat for all the peaches. Place the raisins in a small bowl or cup, pour over the amaretto liqueur and leave to soak for 20 minutes. To make the filling, put the chopped peach flesh, amaretti biscuits, 40g of the sugar, the egg yolk, cocoa powder, walnuts, cinnamon and half the butter in a small bowl. Mix well. Stir in the raisins and the soaking liquid. Grease a baking dish measuring about 18 x 25cm with butter and place the peaches cut-side up in the dish. Divide the filling between the peach halves, pressing it into each cavity. Sprinkle over the remaining sugar and pour the wine around the fruit. Dot the remaining butter on top of the filling. Bake for 30 minutes. Serve hot. 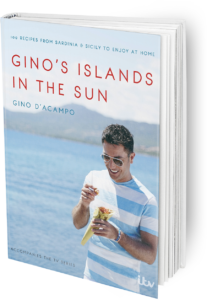 Once you’re done, simply sit back and enjoy your baked peaches stuffed with amaretti biscuits, walnuts & raisins and don’t forget to check out other great authentic Italian recipes including great antipasti recipes, Italian pasta recipes, Italian soup recipes, Italian beef dishes and authentic pizza recipes.